Home > SEP 2018 > Indian Mutual fund industry is Rs. 25 lakhs crores AUM now. Indian Mutual fund industry is Rs. 25 lakhs crores AUM now. Indian Mutual fund industry is Rs. 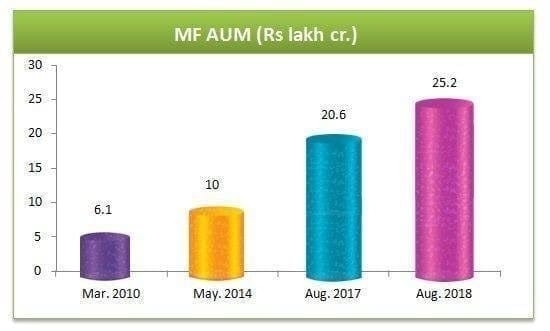 25 lakhs crores AUM now, August, 2018.